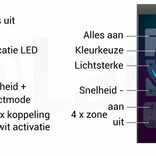 Nicely priced WiFi LED lighting kit. 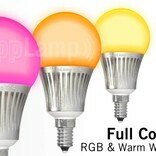 3 pcs 5 Watt Full Color RGBW LED bulbs with E14 small socket. 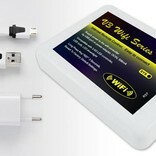 Includes a remote control and a smart Wifi Box for control via iOS or Android. Order now and create your own unique color mix already tomorrow! 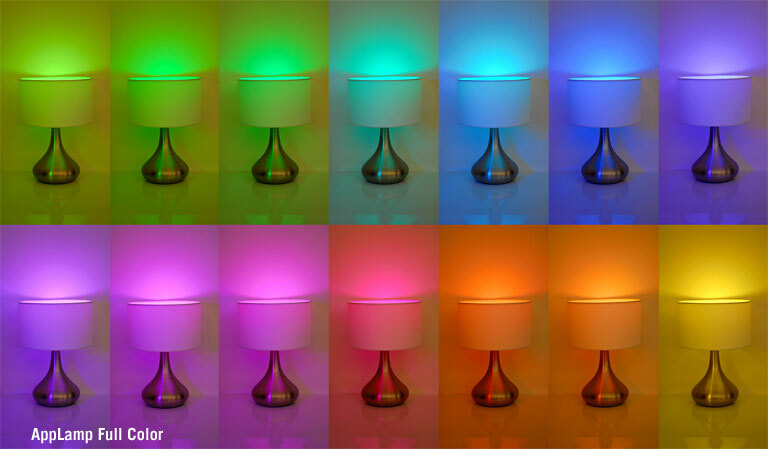 Create your own color mood with this Wi-Fi set including three 5 Watt E14 WiFi LED color lights. 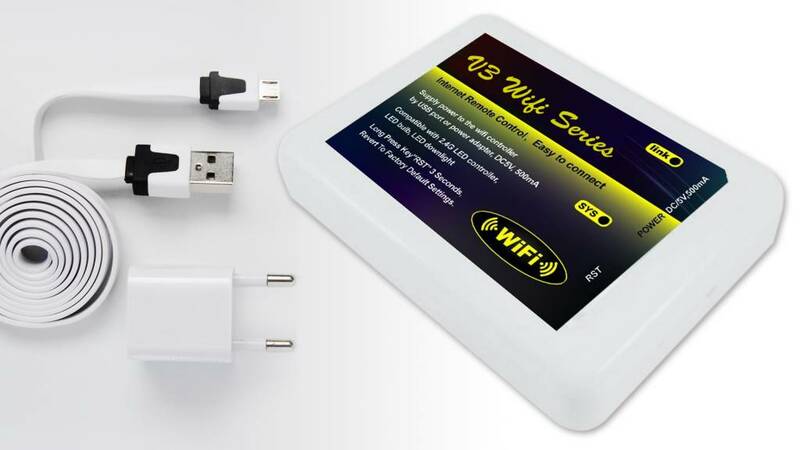 Install the free APP, plug the Wi-Fi box and you're ready to control the bright wi-fi color lamps from your tablet or smartphone. 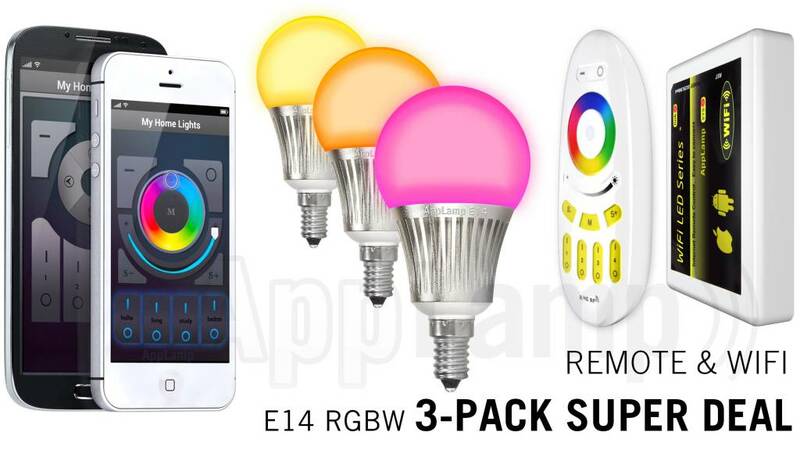 Throughout the house you can use the Wi-Fi APP to control all AppLamp products wirelessly: on /off, dimming, set to any color or choose a festive color effect program. 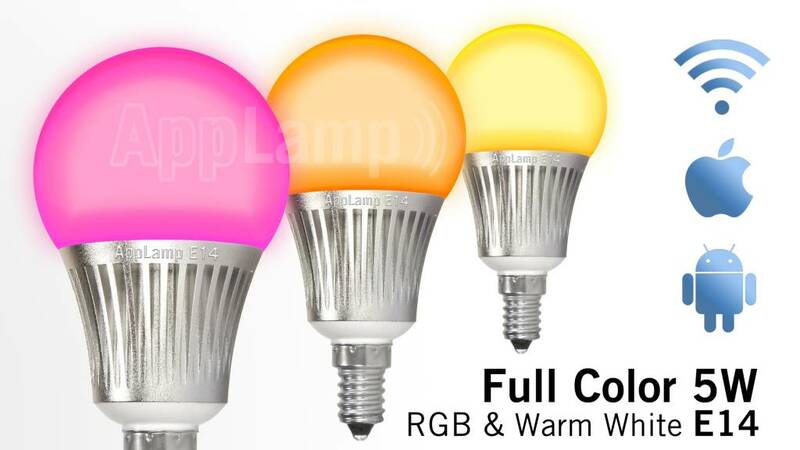 The bulbs can also be switched to a powerful warm white light setting that is similair to a 35 watt tungsten bulb. Even outdoors or from your holiday destination you can control the lights within the same APP via Wi-Fi or 3G / 4G mobile internet! The APP has 8 unique groups to which you can assign an unlimited number of AppLamps. All groups can be individually adjusted to the desired color and brightness. 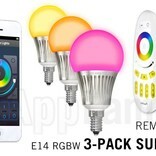 The package includes three 5 Watt E14 WiFi LED bulbs, the Wifi Box and the free app available for Android and iOS phones and tablets. Besides the luxury of beautiful color, you immediately save 80% energy and the LED lamps also have a lifespan of 50,000 hours! Add a set of LED strip or recessed downlights and you have created a wonderful wireless home lighting plan in no time! Does the Wifi LED light fits and what is the size?